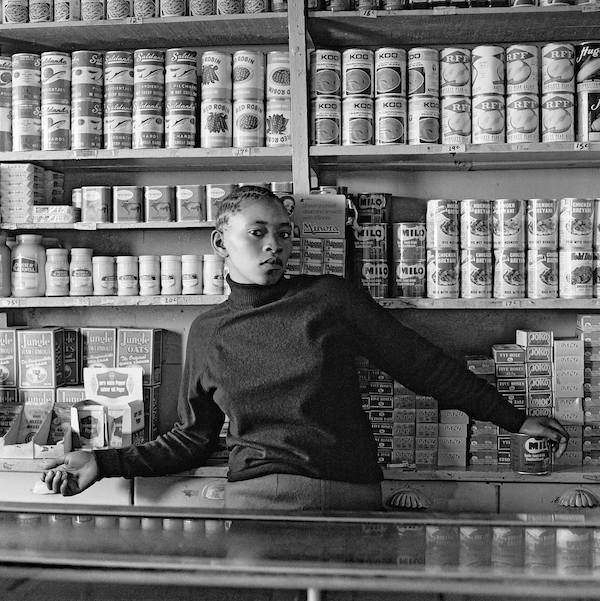 David Goldblatt, ‘Shop assistant, Orlando West, 1972’, 1972. Silver gelatin photograph on fibre-based paper. Image courtesy Goodman Gallery, Johannesburg and Cape Town © The David Goldblatt Legacy Trust. David Goldblatt was internationally renowned for documenting South Africa’s people and turbulent history with a quiet determination and unflinching sense of what is right and just, and what is not. Capturing seven decades of his work, David Goldblatt: Photographs 1948–2018 features his compelling portrayal of the rise and dismantling of apartheid. This Sydney-exclusive exhibition includes his striking key black-and-white and colour photographic series, as well as never-before-seen material from his personal archive. This exhibition is presented as a part of Sydney International Art Series.